As you can see, kittens, productivity was way down this month. On the evening of my last real blog post (16 June), I fell ill with a nasty GI virus that has been making its rounds on the base here. Until last evening, I was still sick with it. 14 days of horrible, persistent sick. This means that I effectively lost half of my work days this month and accomplished very little in the time. 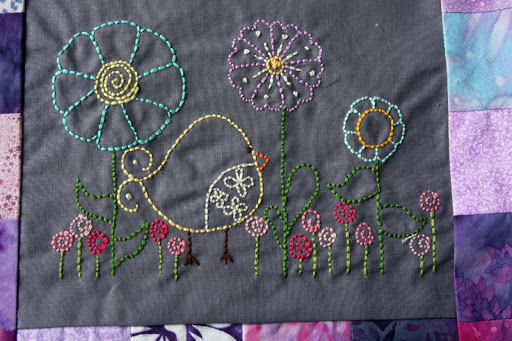 That considered, I think I did OK. I’m finally on the mend for real and am hoping to play some catch up with my crafts in July. Bet you thought I dropped off the planet, didn’t you, kittens? I live, but that’s for another post. Today is about the end of Q2 Stash Down. I had a much better quarter and am very pleased with the result. I didn’t finish any large projects–just toys again. Most of my yardage out came from detachment from my stash and allowing myself to sell some that I’m honestly not going to use anytime soon. It’s quite freeing to not feel so emotionally beholden to all of it. This has been an on-going process in my life: learning to let go of things and not buy more than I need or can use. I am hoping to have at least a sweater project out for Q3 and maybe a couple other things. If I can keep up this momentum in Q3 and Q4, I’m hoping to end up, at the very least, stash neutral. To me, that’s a pretty big deal. To any of you out there also stashing down, how is it going? Due to having to wait for my book, I joined the Farmer’s Wife Quilt-a-Long a bit late in the game. Week 3 is about to begin, so I’m working on catching up this week. My book arrived yesterday. Last night I set to work, and I completed week 1’s blocks. I’m trying to work in order and not skip any; we’ll see how I do. I’m also not sure if I’ll be a Farmer’s Wife or maybe a Farmer’s Girlfriend and make a smaller quilt. But then she and Angela posted their blocks and BAM! I was smitten and wanted to play. BAD. 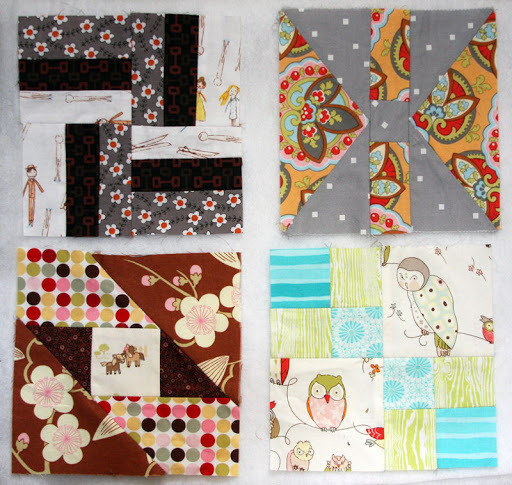 The blocks were so fresh and fun in bold,modern prints…some of which I have in stash too. I ordered the book immediately and then waited for almost 2 weeks for it to make its way here. Now it is and I’m slowly reading the letters that inspired the blocks chosen…and calming myself down about working with templates. Things have gone very wrong in the past thanks to them and it’s hard not to think about that when working. My first attempt at this block didn’t end quite how I wanted. 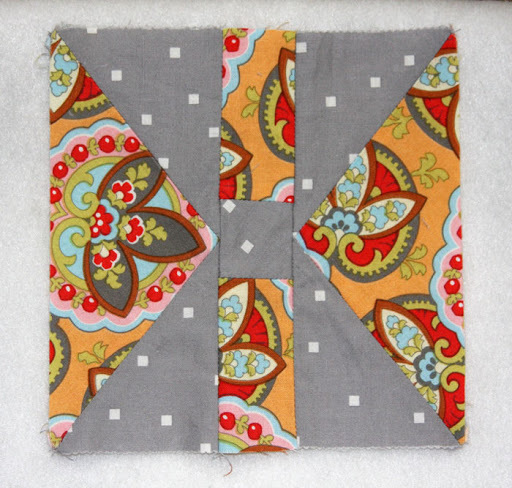 The colors were more demure than I had intended, and I wasn’t digging the block as it looked in the layout. 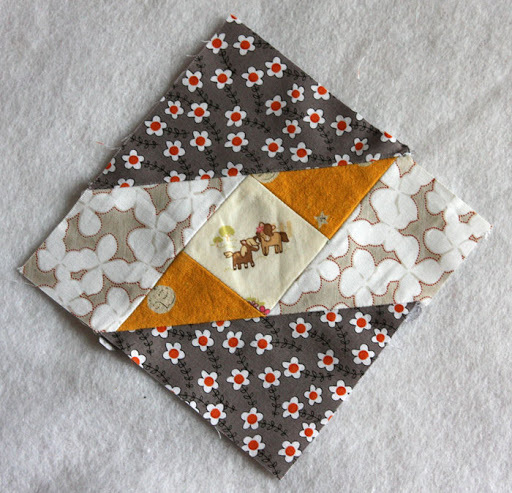 A bit of a bummer after taking the time to fussy cut that lil’ pony to be on point like the quilt is laid out. 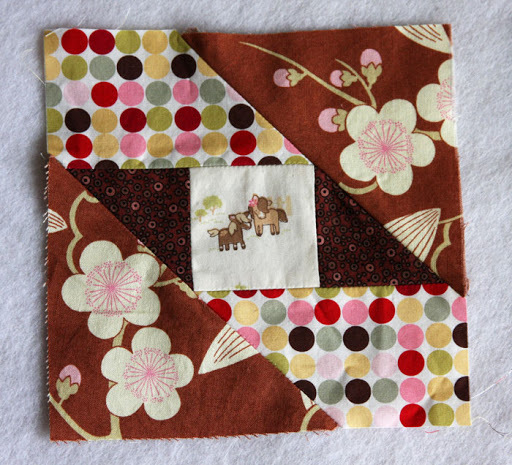 It was good practice, and I’m going to try and use this block in something else…maybe a project bag? I like this one quite a bit better, though I was nervous making my fabric selections. I was afraid they might be a bit much, but they’re growing on me. On this one, I not only fussy cut the ponies, but also the cherry blossoms from the Amy Butler print. 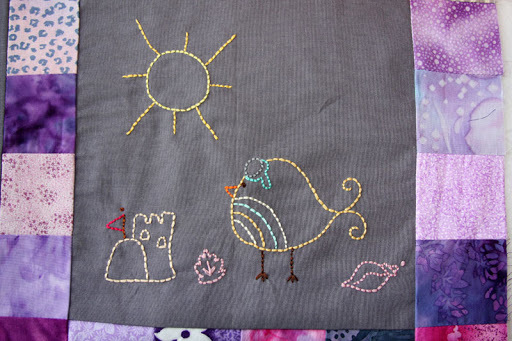 Block 2 was much easier for me to execute, even if it isn’t at all autumnal. I’ve been learning that I really enjoy fussy cutting, but I’m afraid I may be overdoing it a bit. I plan to keep doing it, regardless. Template cutting for the block seemed unnecessary, so I did the math and rotary cut it instead. I rather like those crazy colored, grumpy owls. Now, onto Week 2’s blocks! Yeeeeaaaah. I got a little behind on stitching and documenting this one, kittens. 2 of the 3 blocks had to be heavily altered…a.k.a: drawn from scratch. I finally played catch up last night and today. April’s block is one of the two that I drew up on my own. I even stuck a little Totoro in there for The Girl. As soon as I saw the next month’s block, I knew my theme would work out just fine. Yes. May Flowers. I changed very little in this block and was super happy with the composition and concept. The Girl absolutely LOVES this block. And then June happened. 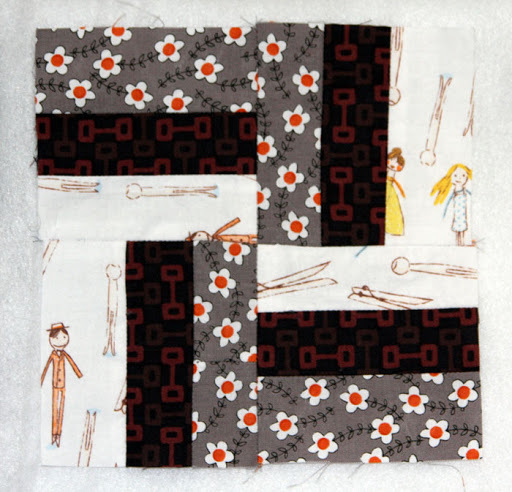 While I like the idea of the text somewhere on the quilt, it felt really out of place with the other blocks to date. 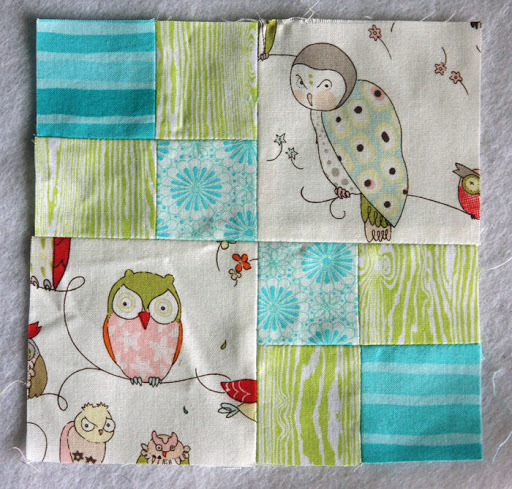 Thanks to Katie‘s suggestion, I had a theme for the block and worked on it today. It turned out OK. It’s not my favorite block, but it works. But yay! I’m caught up on Birdie Stitches until July. 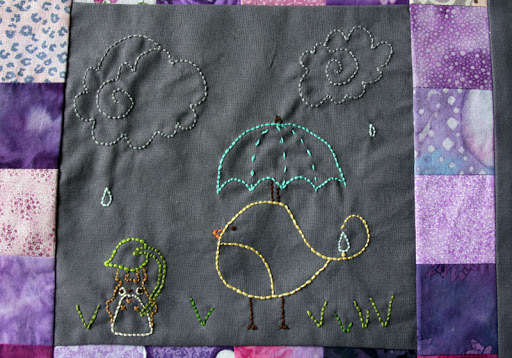 I have so many projects going on these days that it’s becoming difficult to keep track of them all…and I’m looking to add a new Quilt-a-long as soon as the pattern book arrives! 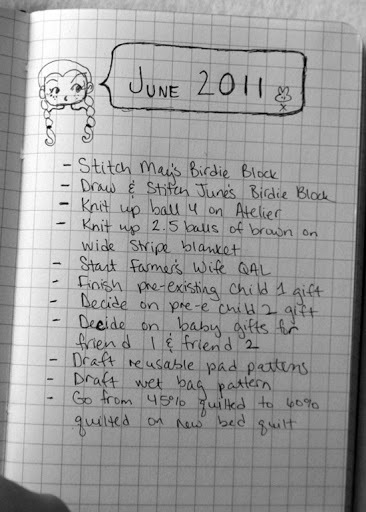 I realized that it is time to start making a crafting To Do list. This is what I came up with last night for June. Most of the goals are pretty unambitious, but I like to set myself up to feel good and motivated rather than demoralized when I realize I can’t gain 5 extra hours a day to do it all. I’m not sure if I’ll post up the initial list at the beginning of the month and update at the end or what I’ll do. I plan to add to it as a month goes on and items get checked off. It’s hard to believe, kittens, but May is already gone. (Well, it will be in ~ 20 minutes Chez Knitpicky.) Time to see how I did with using up some yarn. I wasn’t really focused on knitting or crocheting this month. I actually did a bit better than I feared. The “lack” of yardage is mostly due to the fact that I knit very little on The Boy’s blanket: with The Mister in basic flight, he’s unavailable every night of the week and sometimes on weekends if the load is heavier. This means we’ve spent very little time watching movies or shows together, and that in turn means I’ve had very little time to work on the blanket. And thus is life. I’m really not a big TV watcher unless he’s around to spend time with me. Hopefully, June will be a little kinder to me…even if the weather is already disgusting.